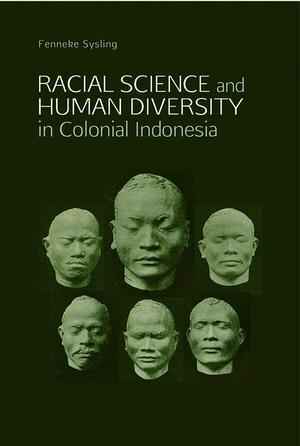 Racial Science and Human Diversity in Colonial Indonesia. Throughout the 19th century and during most of the 20th, the Netherlands were a relatively small and politically not very significant country in the European theatre of power-politics. But they possessed a huge colonial empire surpassed in size and population only by the British. Many of the sources and much of the research literature on the Dutch Empire are, however, written in internationally little-known languages. Because of this, large swaths of Southeast Asian and Caribbean history remain comparatively underexplored in international academia. This is regrettable. For in the current era of Global History, there is a growing consensus among historians that our pasts, shaped forcefully by empires, are fundamentally interconnected. Seen from this angle, the histories of the former Dutch East and West Indies are relevant not only for present-day Indonesia, Surinam, or Curacao, not to mention the Netherlands themselves but also for the history of the modern world in general. Fenneke Sysling’s dissertation, first published in Dutch and later edited and translated into English, is part of a wave of new research by historians of science and empire focusing on Southeast Asia. It addresses the history of ‘physical anthropology’ or ‘racial science’ in the Netherland’s Southeast Asian Empire (today’s Indonesia) in the late 19th and early 20th centuries. Contradicting a long-cherished view among the Dutch, who understood their empire to be benevolent rather than bullying, Sysling shows that “Dutch anthropologists were no different from other colonial scientists” (175). In collecting skulls and measuring the bodies, skin, and hair colors of ‘primitives’, they profited from and participated in colonial violence and offered their expertise to the Empire (e.g. as doctors during military expeditions). What makes the book particularly interesting not only for historians of the Dutch Empire, but also for historians of Central Europe, is an implicit argument woven throughout Sysling’s narrative: that Dutch colonial ‘racial science’ was far from having been uniquely Dutch. It was a synthesis of French, German, and British variants of anthropology, practiced by Dutch medical doctors and scholars who had either learned their craft at, or were intellectually oriented towards Paul Broca’s school of anthropology in Paris, Rudolf Virchow’s and Adolf Bastian’s school in Berlin, or Rudolf Martin’s school in Zürich and Munich. What is more, not only the Dutch but also countless Germans, many British, and some Swiss were among the most active skull collectors and body measurers in the archipelago. Sysling structures her narrative on this remarkably pan-European obsession with ‘racial differences’ in the Dutch Indies in six chapters. The first three elucidate the role of colonial power in anthropology and their practices; the last three discuss the anthropologists’ theoretical ambitions. Sysling begins by explaining in her first chapter how Dutch colonial anthropology kicked off in the 1870s thanks to a series of military conquests in the so-called ‘outer islands’ that brought the entire archipelago under direct Dutch rule by the early 1900s. This gave anthropologists access to territories and peoples that had remained ‘unknown’ to previous generations of Europeans. It also enabled first the Anthropology Museum in Leiden and then the Colonial Institute in Amsterdam to build up their reputations as prime institutions to manage, store, and examine the growing influx of skulls and data from the Empire. The second chapter argues that while support from the colonial state was pivotal for anthropological data collecting in the field, this support was not unconditional. Particularly after the entire archipelago had been conquered, the colonial government viewed anthropologists who would cause outrage among local populations during their skull collecting and body measuring expeditions as risks to ‘peace and order’. In one notable case therefore, the colonial government withdrew support for an anthropologist and shut down his laboratory in Batavia. Sysling then examines in chapter 3 how physical anthropologists embraced photography and plaster casting as a new means to objectify racial features for scientific purposes. As it turned out, neither the photographs nor the casts spoke for themselves, and required anthropologists’ expertise to draw viewers’ attention to the ‘proper’ racial features, the meanings of which remained contested and controversial. Chapter 4 turns to theory. The British naturalist and traveler Alfred Russel Wallace first introduced one of the questions anthropologists sought to answer. Better known for his co-invention of the theory of evolution simultaneously to Charles Darwin, Wallace had also theorized about a racial boundary supposedly separating ‘Malayan races’ in the west from ‘Papuan races’ in the east of the archipelago. The island of Timor was located in the border region of this supposed divide. Dutch anthropologist Herman Ten Kate tried to clarify the nature of this division in the early 1890s but failed. Instead of reducing the complexity of the islands’ ‘racial composition’, his measurements increased them, as Ten Kate ‘discovered’ not only Polynesian but also ‘Native American types’ among the population. Chapter 5 recounts how the Netherland’s most influential anthropologist, J.P. Kleiweg de Zwaan, who headed the Colonial Institute in Amsterdam, tried to synthesize the racial diversity of the archipelago. Inspired by his German, Swiss, and British colleagues, he tried to identify the oldest aboriginal ‘races’ of the archipelago and their relation to migration patterns. His 1925 book ‘De rassen van den Indischen Archipel’ recounts a bewildering history of ‘palae-Alpine’, ‘proto-Negroid’, ‘proto-Australoid’, ‘veddaic’, and other racial ‘elements’ in the archipelago, which left readers with “their head spinning” (144), as one reviewer remarked. Chapter 6 zooms in on ‘the Pygmy Question’ in Papua New Guinea. Since the 1880s, European anthropologists had debated the question of whether the island was home to an ancient ‘dwarf race’ measuring less than 150 cm and referred to as ‘Pygmies’. In the 1920s Dutch anthropologist Hendrik Bijlmer embarked on an expedition to investigate the matter. His measurements led him to conclude that there were no distinct ‘racial’ differences between Papuans living on the coast and those living in the mountains. Hence no ‘Pygmies’ could be distinguished. Moreover, the supposed ‘stone age races’ in the mountains turned out to be intelligent and friendly, displaying more similarities than differences with ‘modern man’. Bijlmer eventually turned his back on anthropology and instead advocated for ‘protecting’ Papuan Highlanders from modernity by letting them live in ‘natural reserves’. Sysling’s meticulously researched, well written, and clearly argued book fits well with recent scholarship on the history of the ‘racial sciences’. As elsewhere, anthropologists in Southeast Asia amassed mountains of data but struggled to read much meaningful, let alone ‘useful’, out of it. With its many references to relatively unknown sources and archives, the book has a lot to offer historians of science, empire, and Southeast Asia alike. Two obvious follow-up questions that could build on Sysling’s groundwork would be: how did Indonesian thinkers appropriate European ‘racial science’ and anthropology in their struggle for decolonization and nation-building in Indonesia? And, given the remarkably transnational composition of European anthropologists in the Empire, what legacies did ‘racial science’ in the Dutch Indies leave in countries such as Germany, Switzerland, France, Britain, or Hungary? Robert-Jan Wille, De Stationisten. Laboratoriumsbiologie, Imperialisme en de Lobby voor Nationale Wetenschapspolitiek, 1871–1909, Enschede 2015; Hilary Susan Howes, The Race Question in Oceania. A.B. Meyer and Otto Finsch between Metropolitan Theory and Field Experience, 1865–1914, Frankfurt am Main 2013; Wim Van der Schoor, Zuivere en Toegepaste Wetenschap in de Tropen. Biologisch Onderzoek aan Particuliere Proefstations in Nederlands-Indië 1870–1940, Ridderkerk 2012; Andreas Weber, Hybrid Ambitions. Science, Governance, and Empire in the Career of Caspar G.C. Reinwardt (1773–1854), Amsterdam 2012; Andrew Goss, The Floracrats. State-Sponsored Science and the Failure of the Enlightenment in Indonesia, Madison 2011. Bernhard C. Schär: Rezension zu: Sysling, Fenneke: Racial Science and Human Diversity in Colonial Indonesia. Singapore 2016 , in: H-Soz-Kult, 15.10.2018, <www.hsozkult.de/publicationreview/id/rezbuecher-29867>.